and let me tell you!! My nose and taste buds got happy at the smell of the amazing mango, strawberry, and other fruity aroma’s that came from opening the package alone… So you know I will have a review of these Goddess’ goodies soon right. Plus, its only right I respect the Goddess mission. You all may not remember but the first CurlBox I received which I believe was the March box, I recieved some great items. 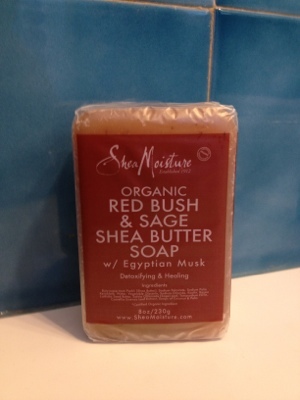 One item that really stood out to me was the Shea Moisture Red Bush & Sage Shea Butter Soap. 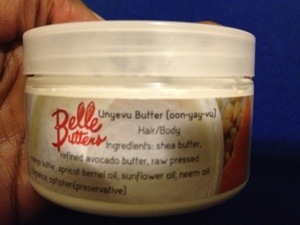 Now this was my first time with this particular item from Shea Moisture. Prior to this I had only known of the hair products, so I had to put this organic soap to the test. Thanks to CurlBox for supplying me with the goods and thank you Shea Moisture for keeping me in love. Received these two products in my National Natural Hair Meetup Day winnings from the lovely folks over at Shea Moisture. I finally got a chance to try them. In using other masks I expected a thick consistency; this was not the case with this particular one. The consistency was lightweight and really watery. I cleansed my face with my Cerave cleanser followed by the application of the mask. It went on easy and came off easy. Thumbs up to Shea Moisture once again. I left the mask on for 15 minutes; after rinsing off the mask and patting dry as directed, I applied the balancing moisturizer. 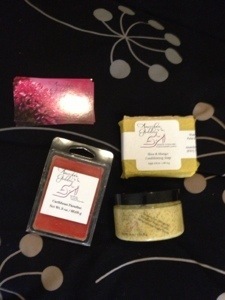 My face felt fresh and rejuvenated! 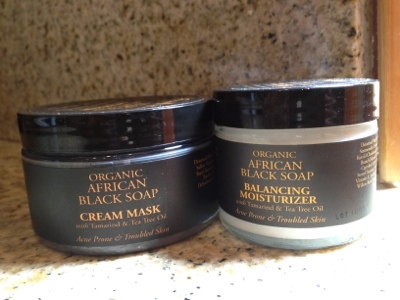 The container states that the mask is good for removing impurities from the skin before they can cause any trouble. It also absorbs any excessive oil in the skin and refines. All of this was indeed true.If you have troubled skin or like pampering yourself then this is a fun and easy way to do so. You do not have to spend money to purchase a face steamer, because you have it right in your kitchen. A pot, stove and water. This is what I used to steam my face and it worked perfectly. Steaming you face is the best way to give your pores a deep clean. It loosen debris that have been embedded into the skin. I will list the steps below and I encourage you to steam your face twice a week. Step 1: first I cleansed my face with Cetaphil face cleanser. ( you can use your desired face wash). I made sure my face was free of dirt, and makeup. Step 2: I then boiled water until it was hot and steamy. I added fresh herbs to the water,I used lemon and green tea leaves. Step 3: I stood directly over the pot and draped a towel over my head so that the steam wont escape. I stood there for 10 mins when the steam started to go away. I then rinsed my face and applied a facial mask. 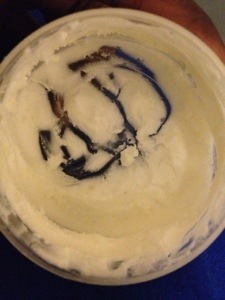 I made my mask with 2 egg whites and 2 small spoons of plain yogurt. This is good to keep moisture in the skin. Step 4: I rinsed off the mask, and cleansed my face with Cetaphil face wash again and applied a warm damp towel over my face until the towel got cool. I dried of my face and applied my Embryolisse moisturizer. *NOTE* Be careful not to burn your face. do not put your face very close to the pot. Steaming your face can sometimes dry out your skin, just be sure to apply a moisturizer after.